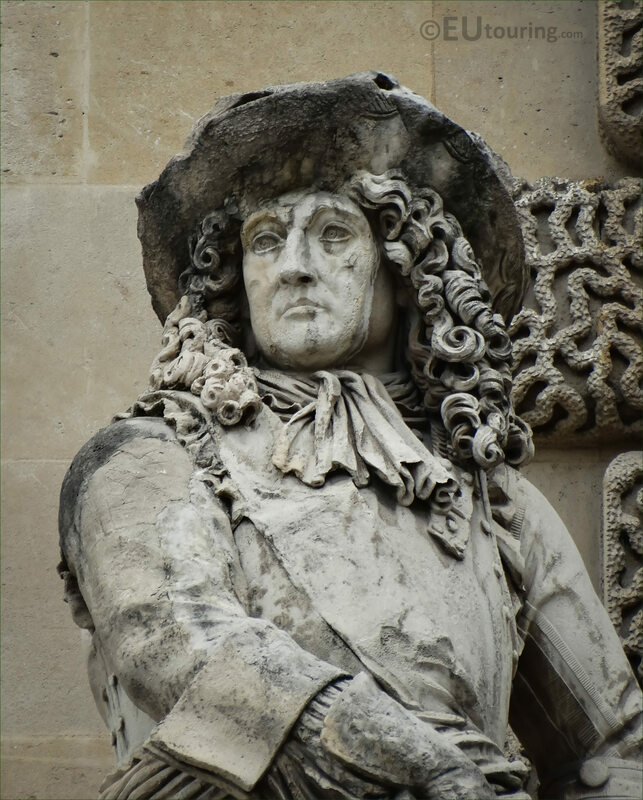 Again while we were within the Cour Napoleon of the Palais du Louvre, when we took these high definition photos showing a statue of Vauban by Gustave Crauk, located on the Rotonde de Beauvais in the 1st Arrondissement of Paris. 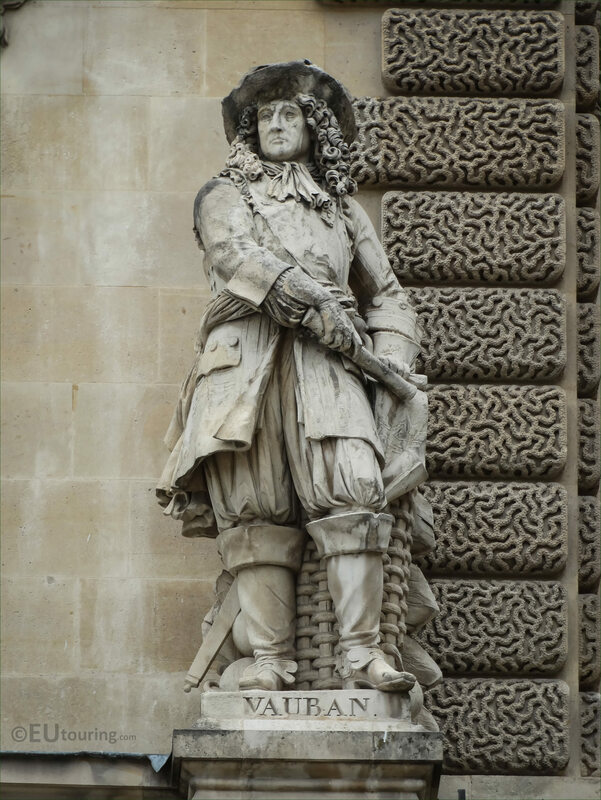 You will find this particular stone statue depicting Vauban located on the first level of the facade called the Rotonde de Beauvais, and put in place in 1857, it is positioned on the part of the building that juts out and is situated third in from the right hand side of this wing of the Musee du Louvre. Now this close up HD photo shows the skill and workmanship that went into producing the stone statue, which was sculpted by the artist Gustave Crauk, who was born in Valenciennes in 1827, and he had a very distinguished career as a sculptor, with even a museum opened in his memory in the same town, which is where he also passed away in the November of 1905. 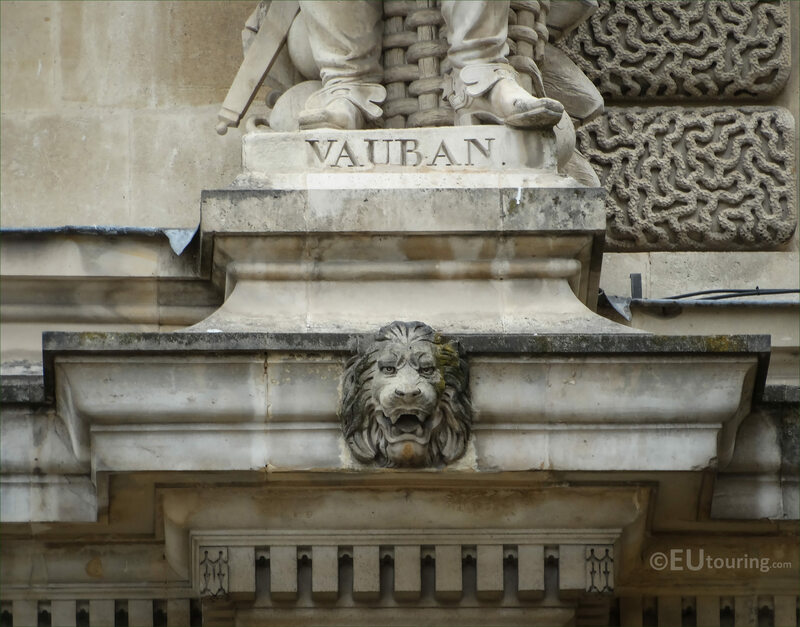 And this last image shows a close up of the plaque at the base of the statue dedicated to Sebastien Le Prestre de Vauban, Seigneur de Vauban and later the Marquis de Vauban, although he was normally just known as Vauban, and born in 1633 he is recognised for his engineering expertise in building fortifications and also breaking into enemy ones, and although his remains were scattered during the French revolution, his heart was found and is now interred with a tomb at Les Invalides.